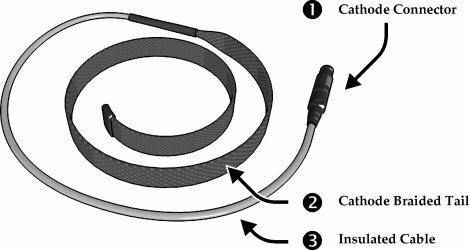 Designed for use with our electrofishing backpack, the cathode cable is trailed behind the operator. 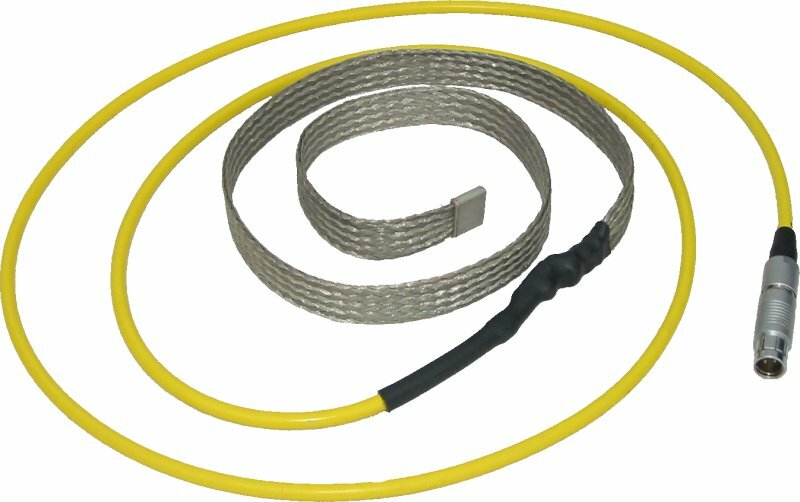 The high visibility cable is Kevlar reinforced for strength, and has a safety insulation rating on 3kV for maximum operator protection, while being securely bonded to the 25mm wide tinned copper braid that forms the fishing cathode. Heavy duty tinned copper braid. Cabling 1m length, Kevlar reinforced, 3kV insulated cable with 1.5mm2 conductor cross section.